Shell’s oil-exploration plans in Arctic waters off Alaska will have to comply with U.S. Fish and Wildlife restrictions that require the company to keep oil rigs at least 15 miles apart to protect walruses. 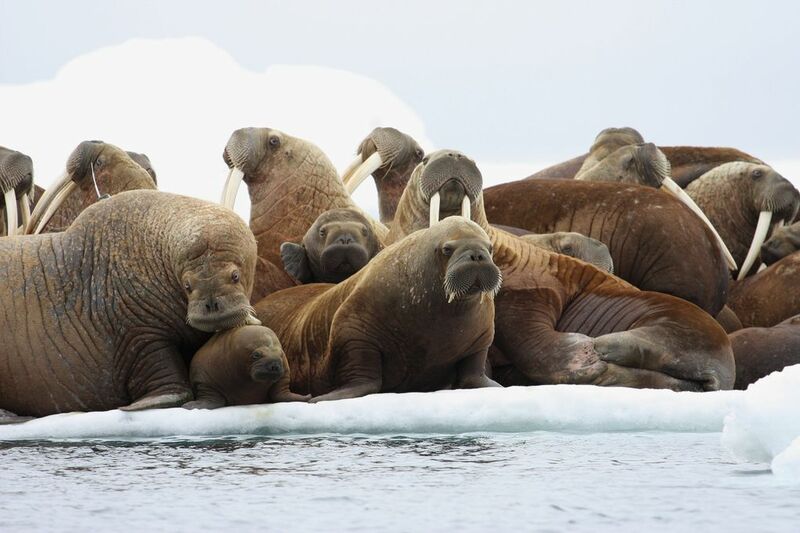 To protect walruses, the authorization calls for Shell to keep operating drill rigs at least 15 miles apart during the summer season in the Chukchi. Shell developed an operating plan that sets two wells — drilled simultaneously — about nine miles apart. Earlier this year, that plan gained conditional approval from another arm of the Interior Department, the Bureau of Ocean and Energy Management. Shell spokesman Curtis Smith says the company is evaluating the Fish and Wildlife Service authorization but will comply with the restrictions. Shell, which bases its Arctic exploration fleet in Puget Sound, is hoping for a major new oil find in the Burger Tract, an offshore area it first explored back in 1989. Different branches of the Interior Department have been involved in a lengthy permitting process that has been repeatedly contested by environmentalists concerned about the risk of drilling in the remote Arctic environment. . The Fish and Wildlife service authorization released Tuesday lays out steps that Shell must take to minimize the effect of its work on the animal. They include a minimum spacing of 15 miles between all operating drill rigs or seismic-survey vessels. Chris Krenz, Arctic campaign manager and senior scientist for Oceana, said the government seems to be rushing to meet Shell’s timeline rather than taking the time needed to do the appropriate analyses. “The closer the Shell rigs encroach upon the Chukchi Sea, the further away the Obama administration retreats from its promise to leave a strong climate legacy,” Friends of the Earth’s Marissa Knodel said in a statement. The Associated Press and Seattle Times reporter Hal Bernton contributed to this story.